My wife is staying at her friends house overnight, boy am I going to have fun! Today, only 8 days later, the came. Just in time for some fun. 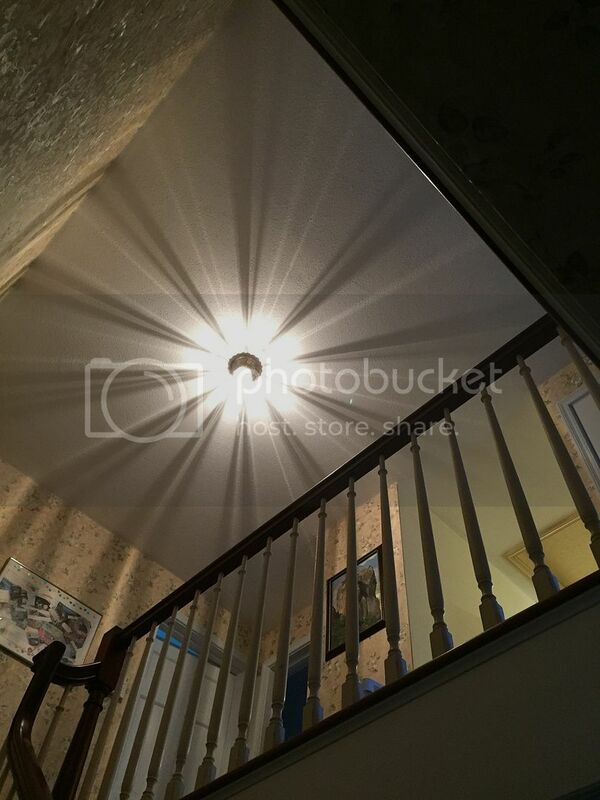 Here is the light in the second floor hallway at the top of the stairs. 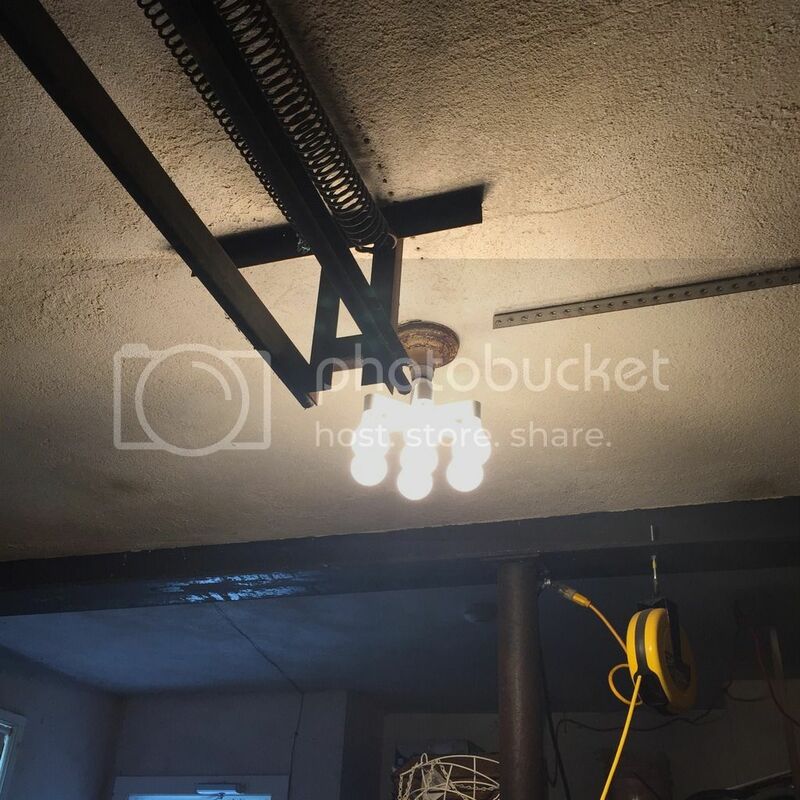 A single 25W Halogen bulb. The vertical filament is the reason for the hard cast shadows. Interesting, but not too much light. 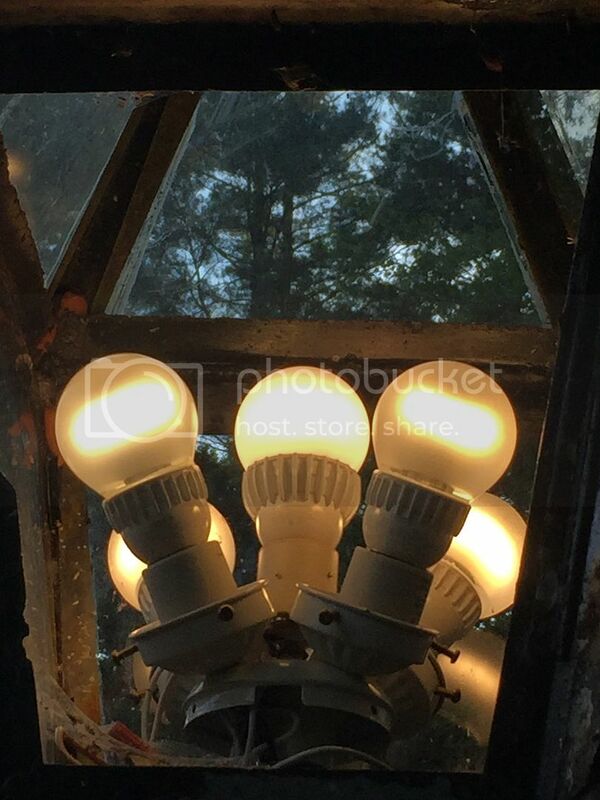 How about 7 60W equivalent CFL Daylight bulbs? That would brighten up this dingy hall while my wife is away! Or how about some of the newer LED bulbs? Remember this deal I came across? If you were following the Home Depot deal alerts thread you would. But let’s do this in a manly way, now that wifey isn’t around to complain. These things can be daisy chained! 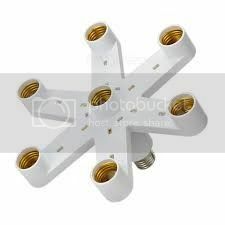 Lets see….. 7 sockets per unit with one socket used for the daisy chain. That equals 13 bulbs. 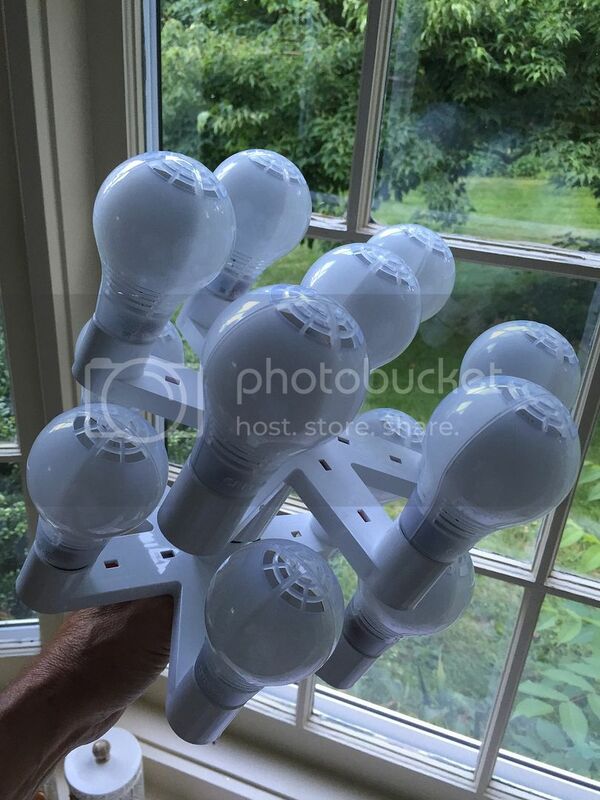 13 bulbs times 815 lumens each is over 10,000 lumems! This should brighten up this dark and dreary hallway. I tried to take the picture but all I got was a white screen. 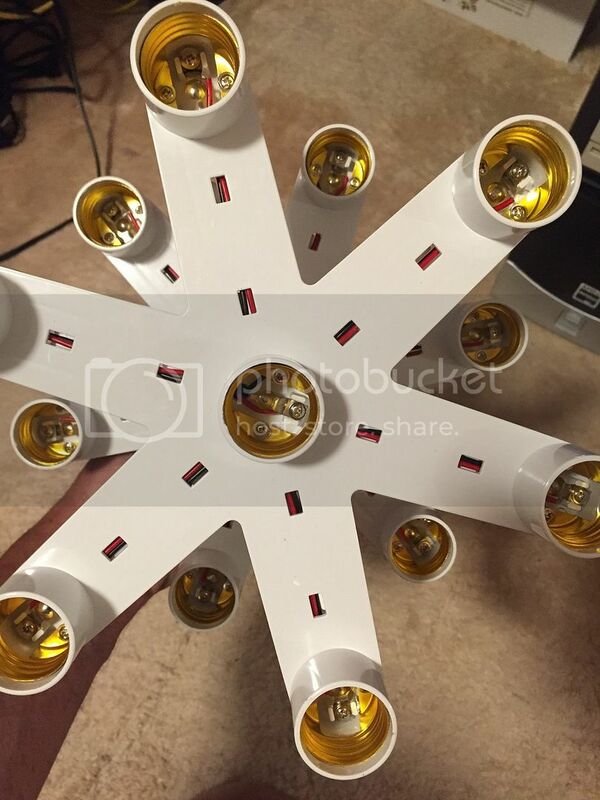 If you connect them 6 high, do you have enough bulbs to fill all 37 sockets? What happens if the wifey comes home early and catches you? 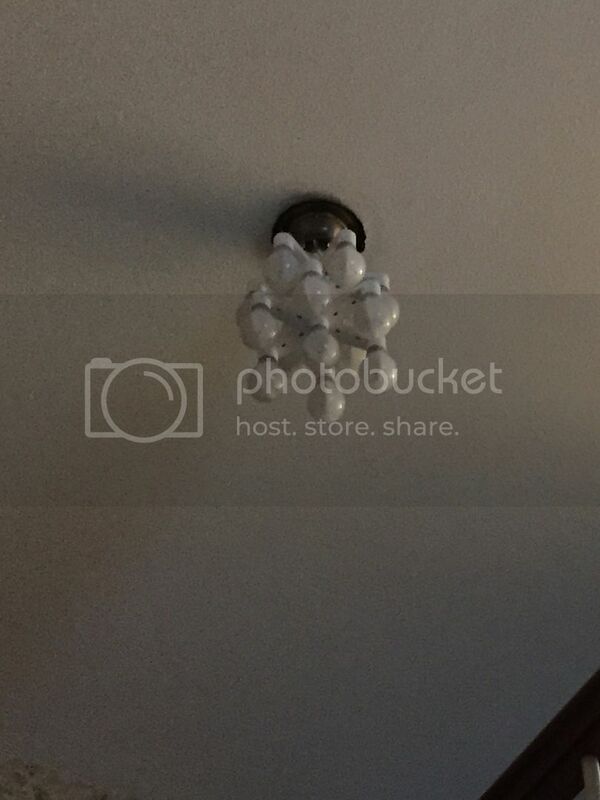 but I guess led bulbs will have to do…. While screwing in bulbs I derived the general formula for number of bulbs in an arbitrary number of “thingies” N.
Do I have enough bulbs??????????? 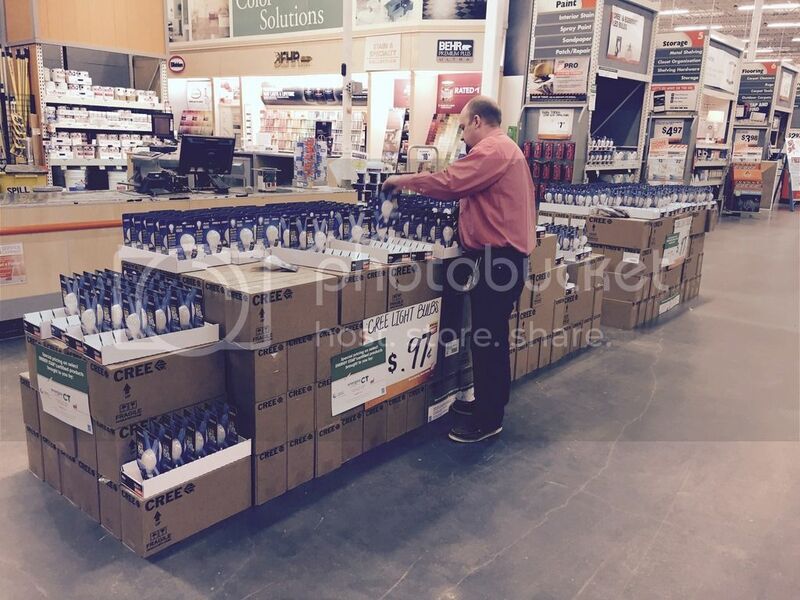 During that HD deal, only 20 bulbs were allowed per customer. But if one buys 20 and walks outside and comes back in they’re another customer, right? Some are being used, others went to friends and EVERYONE in the family is getting bulbs for Christmas! Even so, I have set a certain number aside for important experimentation. hahaha I like the way you think ! Of course you do, you’re a BLF’er. Now pushing the envelope a little further. What I am about to do is probably not safe to do inside, wife or no wife present, so I will take my activities outdoors. 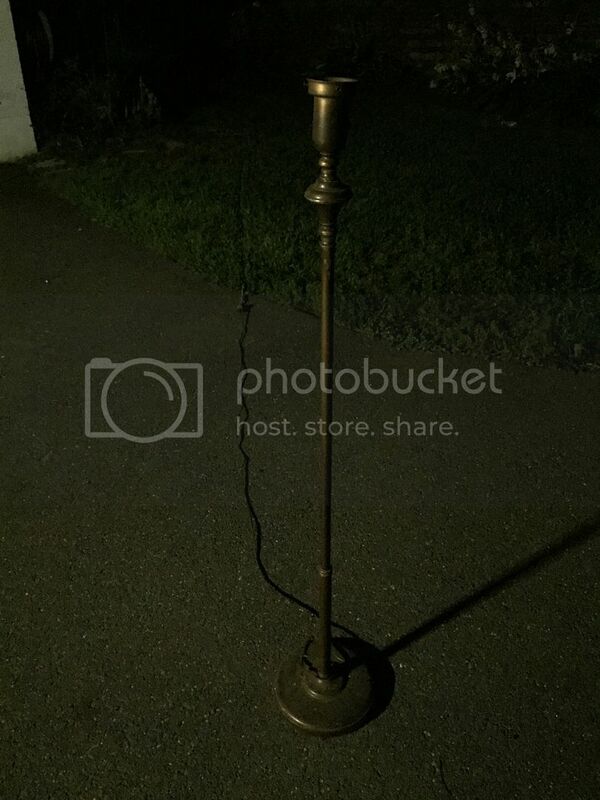 Found this old brass lamp on the side of the road, so I picked it up. BTW, all photos taken with my cell phone. Before I show any shots, I must explain that even though it is night time here on the East Coast, there is a lot of ambient light out there. This lantern contains 5 of the CREE 800 Lumen LEDs and is up next to the garage. Then along the driveway, there are a couple of these. 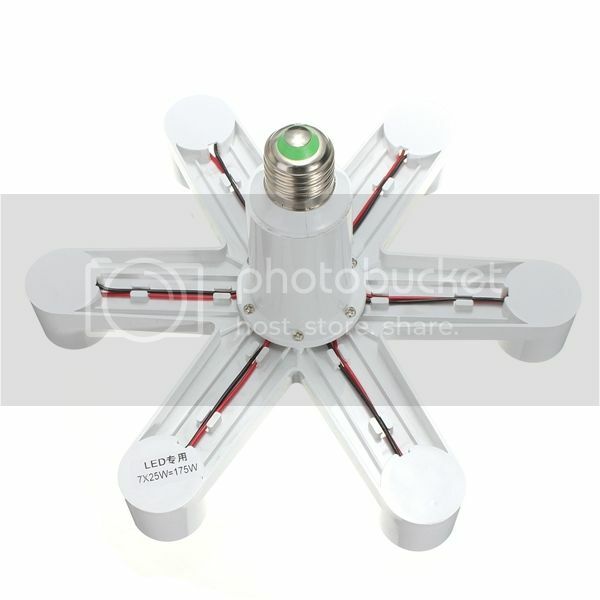 In addition to those, there are numerous 1W LED landscape lights. We live about 20 miles south of an airport and my wife worries that one night a pilot is going to try a park a 737 in our back yard. Anyway, here is what 20,000 lumens of omnidirectional light looks like at night with all the other light “pollution” this household produces. and from across the street. Last shot looks like a UFO landing! Lol nice work! LOL! And my neighbors think I’m nuts! That is fantastic, you should just leave the house dark, and when the wife walks in an turns on 20,000 lumens… Youtube can make you rich they say…. So I assume that may be the ultimate flood light. I think it looks great. If the lumen police drop by, please vid their visit and post on youtube for our entertainment. Awesome. Does look like you have a visitor from outer space. Does he have enough bulbs? Hahah. I’m picturing Homedepot penny/deal loot overflowing out of every storage space in that house. 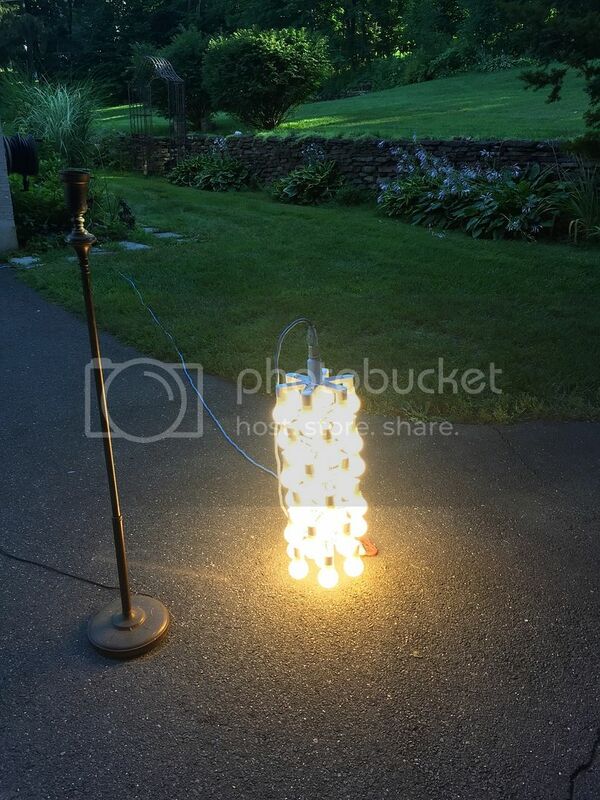 I think the chainable fixture deals would look kinda neat as like a chandelier of sorts. LOL. I hope the wife does not leave before she gets up the driveway as she may well not recognize this place as her own home if she comes home at night. I'm not sure if we should be calling the looney bin for a pickup. Each bulb only draws about 100mA. The biggest stress is physical, 4 is as high as I dare go with out additional support. 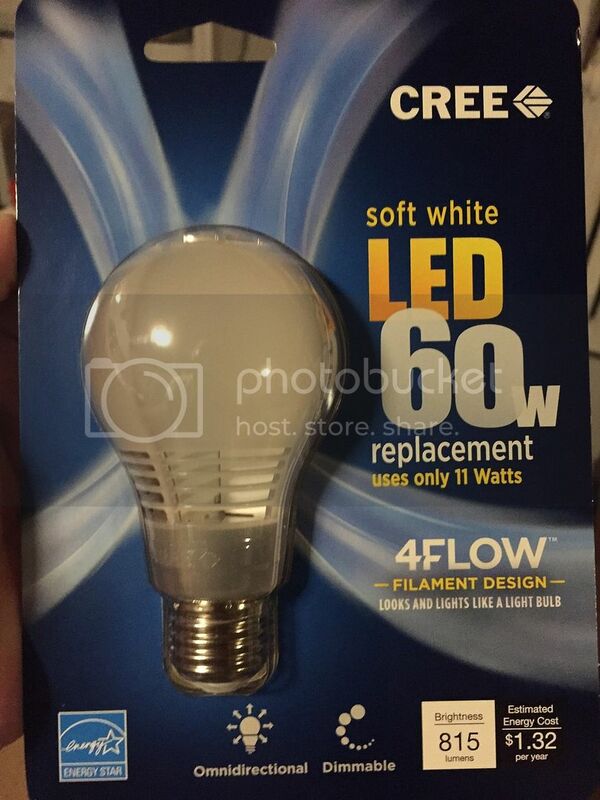 Those CREE full flow bulbs have no heat sinking but rather rely on airflow. 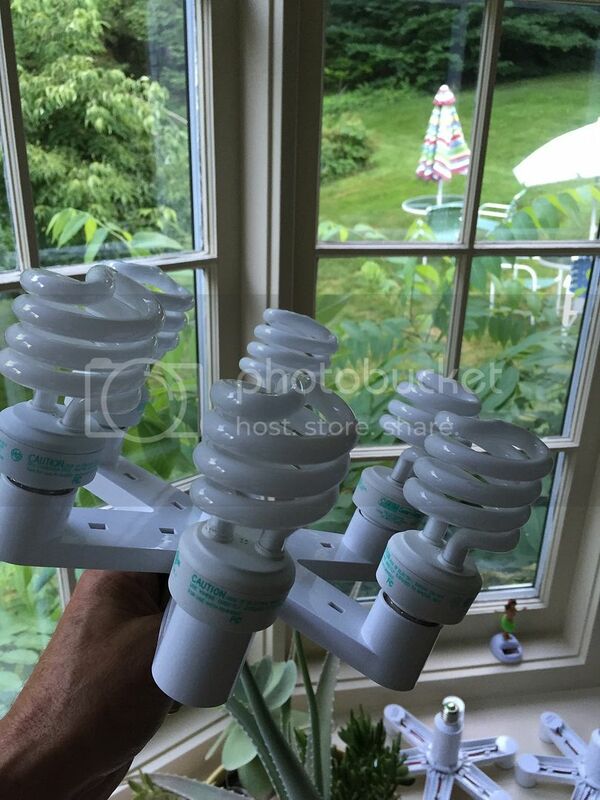 They are quite light weight as LED bulbs go. These adapters do better hanging upside down, so I probably could use all 6 that way. It would have to be indoors though. Using all 6 would be 30,000 lumens. that 20, 000 omni directional light is insane. do you have a picture of that not turned on? i would like to see what it is. 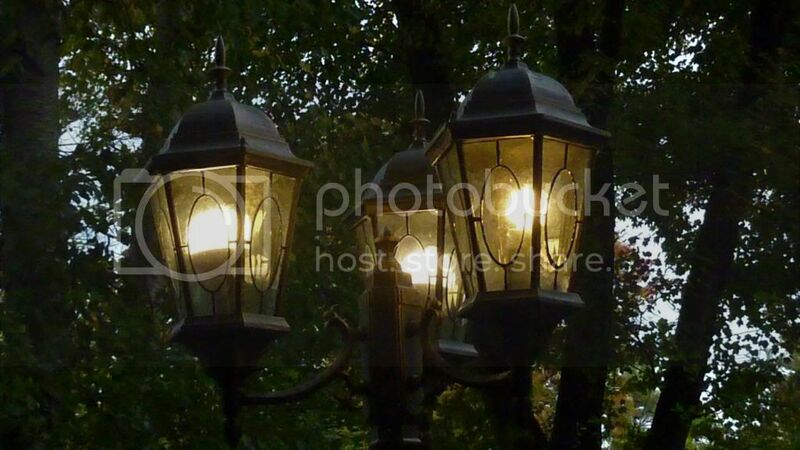 and are those numerous lawn lights solar or they wired? This is awesome. By now you must have belly-cramps from laughing out loud while running up and down the stairs with hands ful of LED-bulbs. Let’s wait what the wife says. When we don’t hear from you on monday, you have been taken. By some probing extra terrestrial, or by the Men In White. I wonder what it looks like when the wife throws it at you from a moving car ? That’s awesome! I got one of the 4x splitters to use in my garage: lighting is poor there, with only 2 ceramic single-bulb ceiling fixtures. I had been using 2-bulb splitters to have four 100W-equiv. 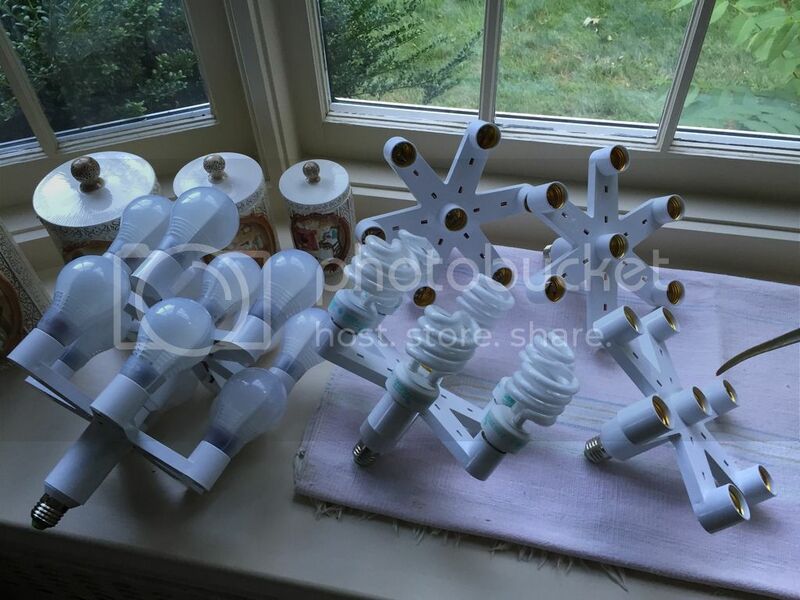 CFL bulbs, but that wasn’t bright enough. 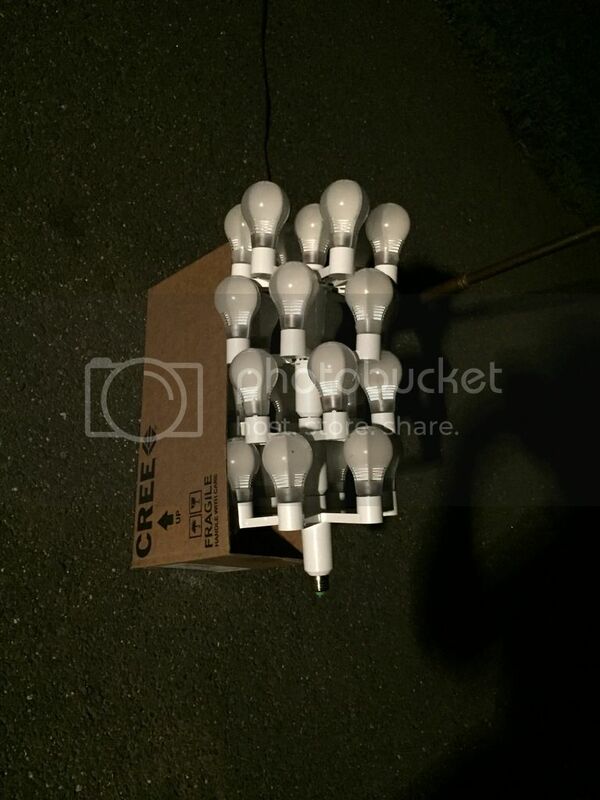 My ultimate plan is to add a third single-bulb fixture, then use the 4x splitter in the middle, with 2x splitters on either side giving me 8 bulbs total. Then, with the Lowe’s 60W equiv. LED bulbs, I should finally have enough light to work there. Of course, it 100-degree summer time now, so I’m not in a hurry to move on this project until later this fall when it’s cooler, and gets dark earlier. You should start all over and use these. Save what you already have for something else. The garage is what I originally got these for. They work very well for that. 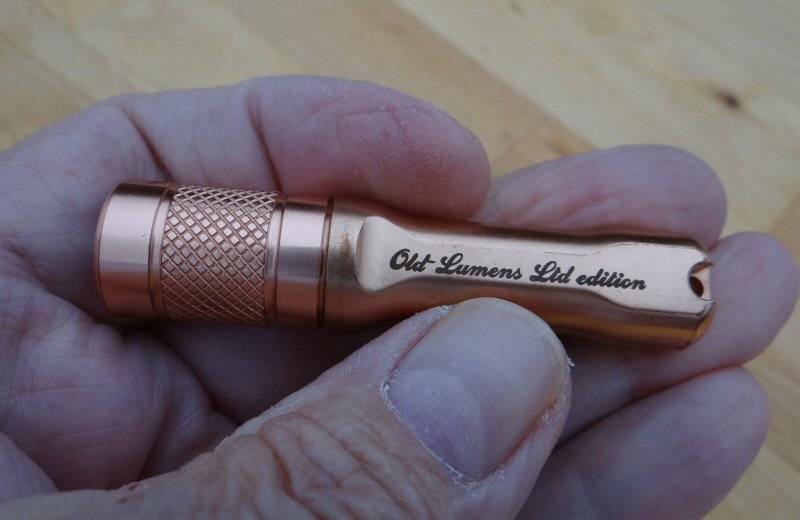 This is 5600 lumen. 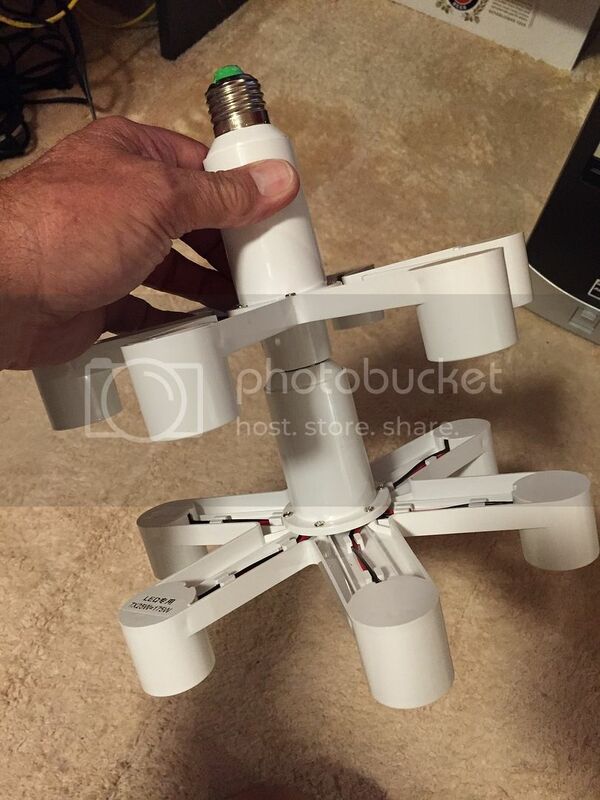 The 1W landscape lights are wired, those solar powered ones are useless. 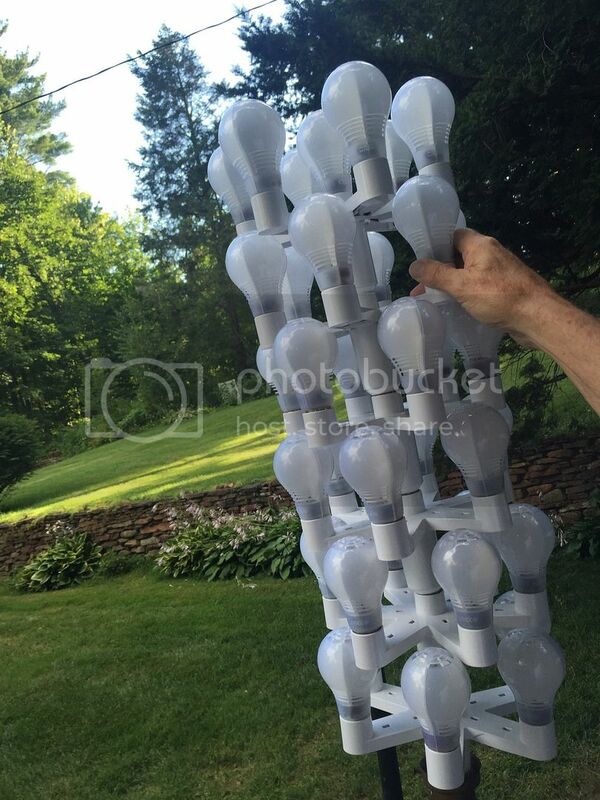 I tried to add 2 more layers and use 37 bulbs for 30,000 lumen but it was unstable, wanted to tip over. 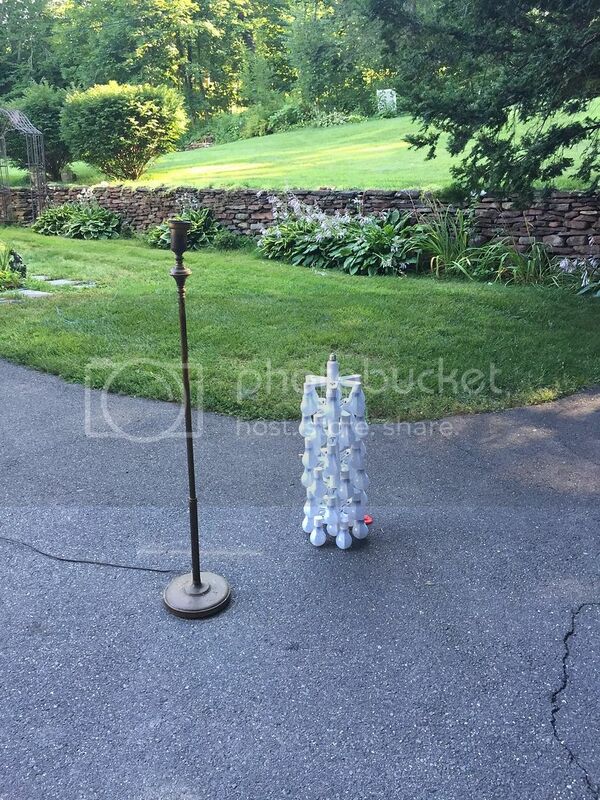 Here is a pic of it off the floor lamp and upside down on the driveway during daylight hours. 3 minutes later I plugged it in. 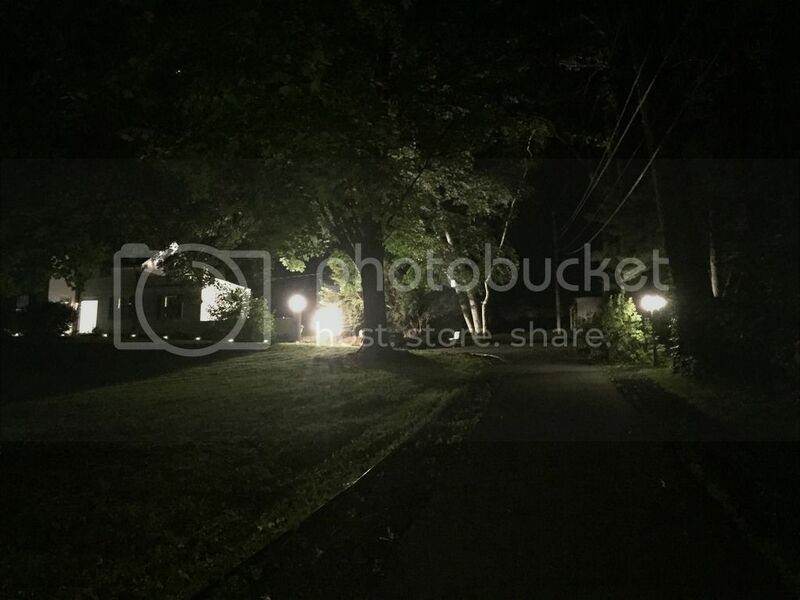 Notice how the surrounding area in the shot darkens as the light from it overwhelms the camera. Well – that’s just par for the course, my friend. 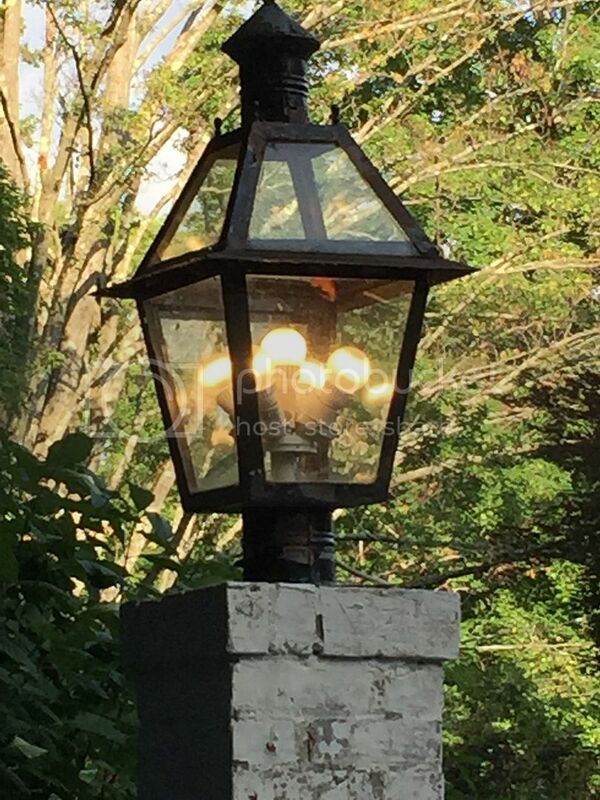 We’re all fanatics, in most people’s eyes – until they find themselves in a power outage, or some other situation, where they have no light, and wish they had something. That is really great! 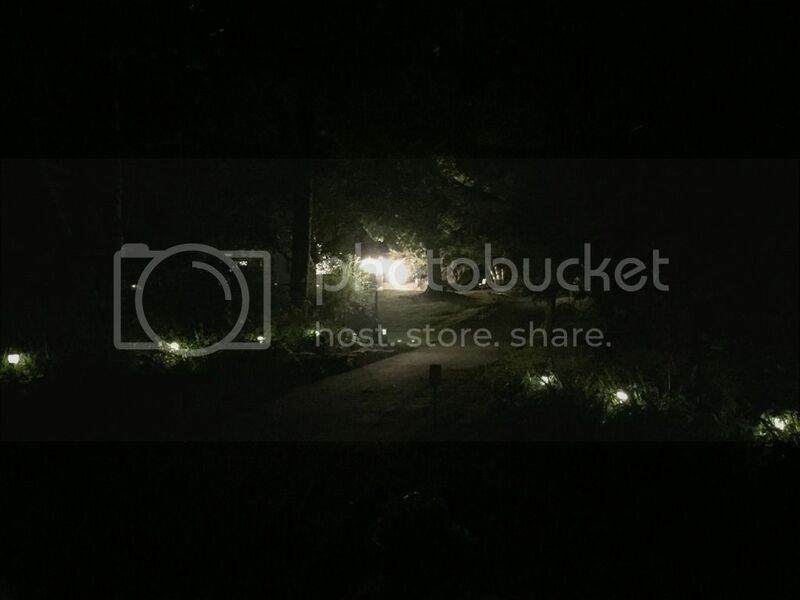 Love the lights around the house. Texas Shooter mentioned putting a bright light on a quad. Check out this video! 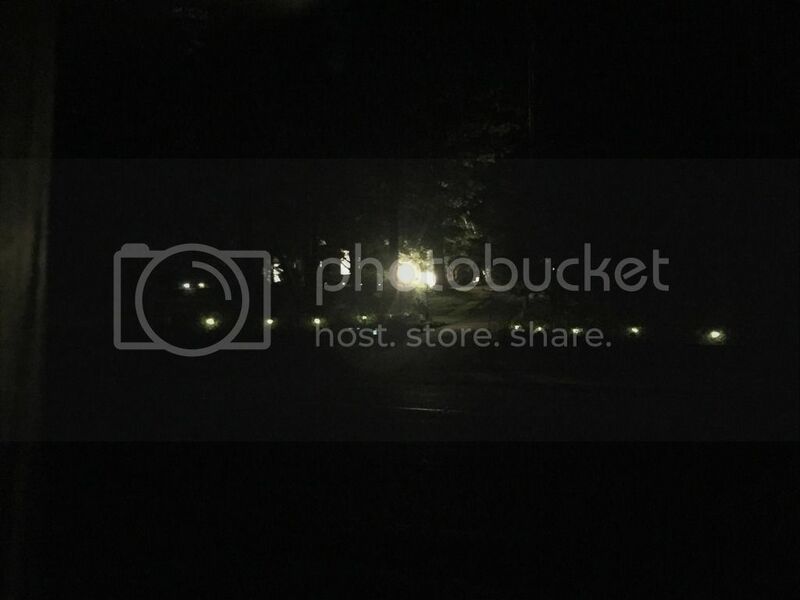 THe guy mounted 100W of LED lights under a quadcopter and MAN does it ever look like a UFO flying around and really lights up everything under it. 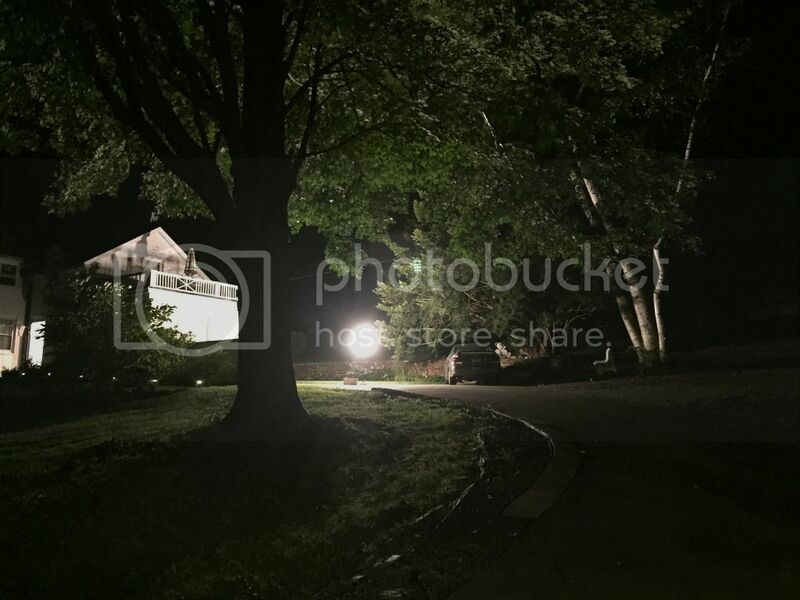 Some great photos he took using the quad as the light source are in the video. Really neat stuff. I can't wait to try some of it on my own stuff. That’s some serious bulbage!! WANT!! Is she home yet? The wife that is. Do I have enough bulbs??? ??????? I love it. I am down for some home lego’ing. Nice house you have there too.